For those prefer the proactive route to ensuring their safety in the event of a zombie outbreak, we present the Zombie Hunter Samurai Sword. This is a katana style sword that has been tailored to meet your zombie slaying needs. Employing the traditional katana design, this sword features a slightly curved blade with one cutting edge and a sharpened tip. 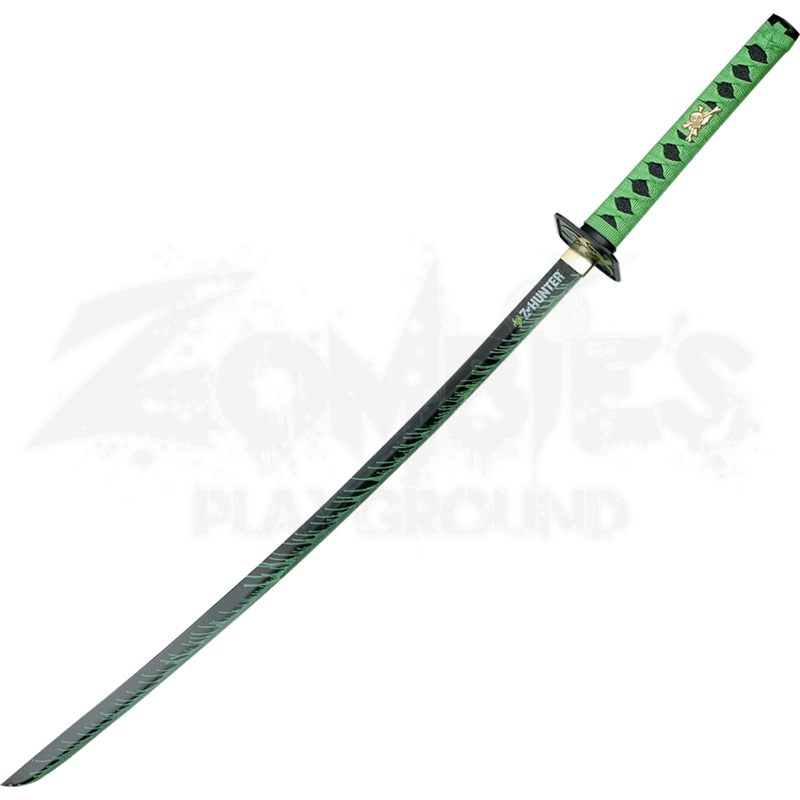 This long and slender blade features a black finish and is accented with simulated green zombie blood spatter to enhance its intimidating appearance. Furthering this zombie theme, both the tsuba and scabbard display biohazard graphics, and the mekugi is shaped like a skull and crossbones. 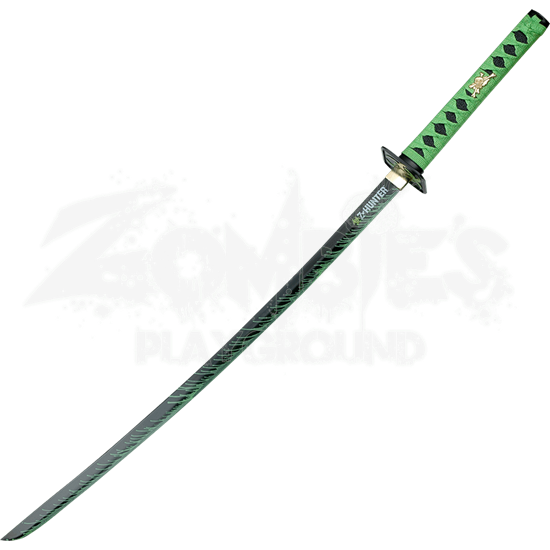 The Zombie Hunter Samurai Sword is a fantastic weapon which allows you to slice through zombies in the style of a samurai warrior.